Modern medium sized coach perfect for those Christmas parties and special event transfers. 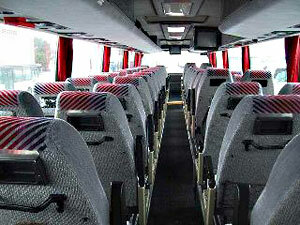 Comes with air-conditioning and high back chairs, it has all the frills and minus the fizzles of other bigger coaches. A modern work horse that is used by most companies due to reliability and ease of use. Whether you need a Mini Bus for a corporate Christmas party, or a day in the Swan Valley, our fleet of coaches will make your party a success! Why worry about how you are going to get home? Charter a 20 passenger Mini Bus or a 25 passengers Coach and let our professionals do the driving for you. For companies whom might need staff to visit a remote work site, it would be much more efficient to charter one of our Coaches then to fly the whole crew up in a plane. Our fleet of coaches and buses are available to anyone, for any occasion, at anytime State wide. 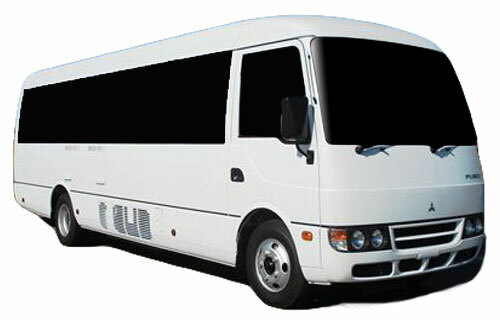 We pride ourselves on providing you with the best Mini Bus and Coach at a rate that you can afford. Unlike regular rental car companies, our buses with their ‘TC Plates’ are serviced and maintained to the standards set by the Department of Transport and in accordance with the Tour Operator Accreditation Regulations.